A damaged and inoperable loading dock leveler and dock plate can slow down your productivity. Taking care of your loading dock equipment, like dock plates and dock levelers is part of a good business practice. Problems with your Dock Plate may arise, if you will use it beyond the allowed load weight capacity. Since it is only suitable for moving light materials. 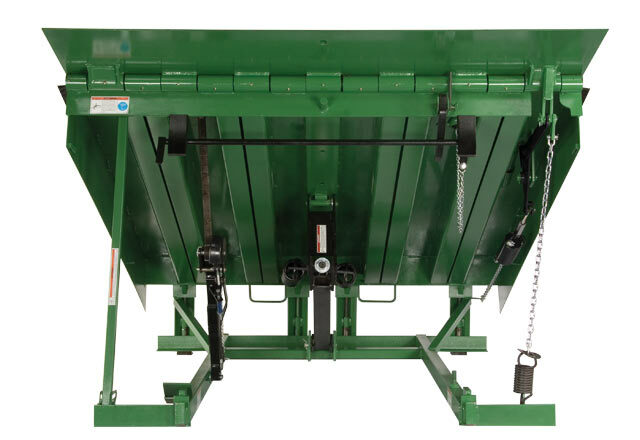 Dock Levelers, however connects the gap between the dock floor and trailer platform. Checking your dock levelers and dock plates on a regular basis is the best preventive measure to stave off any malfunction, that can possibly cause slow work-flow, loss profits and injuries sustained in the loading dock area. Early detection of the problem can eliminate the possibility of facing stressful business dilemmas. That's why its better ito keep your eyes and ears open when any of your loading dock equipment is in use. It is advisable to discontinue operating your loading dock equipment, once any sign of malfunction is detected and resume until the problem is solved. Our versatile team of technicians at Loading Dock Inc, can offer sustainable solutions and value for service for your loading dock leveler equipment, including repairs for Kelly Dock Leveler equipment. Contact our reliable team of technicians at Loading Dock, Inc to schedule a service call for your Kelley Dock Leveler Plate Equipment. Check out the types and models of Kelly Dock Loading Levelers that we service by reading more below.